The Hexagon is one of the Thames Valley’s premier entertainment venues, hosting events from music to sport and exhibitions. It opened on 5th November 1977 followed 2 days later with it’s first public performance, a production of Gilbert and Sullivan’s “The Gondoliers” by the Sainsbury Singers. Plans to develop a new “heart” of Reading were already in progress with a new Civic building to be built that would include council offices, a magistrates court, shopping mall, police station and arts space – but after public debate is was decided that a unique, purpose-built venue for the arts was needed additionally, hence the construction of the Hexagon. A council press release stated that it would “enable those living in a wide area around town, for the first time, to enjoy close at hand, a complete range of entertainments”. The building was designed Robert Matthew and Johnson-Marshall who had also designed projects such as York University, Holyrood Building and the National Museum of Libya. It was built by Bovis Construction Ltd and took it’s hexagonal design from the concurrently built Civic Offices next door. All this lends to the venue’s flexibility in being used for events including music concerts, opera, ballet, conferences, exhibitions, banquets, wrestling and other sports. Before its grand opening, a competition was held asking members of the public to suggest suitable names for this new and unique arts centre. Catherine Ellis, a 12 year old girl, suggested “The Hexagon”, winning the competition and providing the venue with its iconic name. As part of its opening ceremony, local people were invited to view the building, including areas they would not normally see; a press report described how “a steady flow of visitors wound their way around the auditorium, through the rows of plush red seats, into the control room, onto the stage and round the foyers, and judging by the nods and murmurings of approval, people were pleased with what they saw”. For its tenth anniversary, a diverse weekend of events took place. This included a classical concert by the Royal Philharmonic Orchestra, a concert by the Communards, and an evening with comedian Phil Cool. It culminated with a Gala Concert featuring Patrick Moore and the Royal Philharmonic Pops Orchestra, which raised £6,300 for the Royal Berkshire Hospital’s 150th Anniversary Appeal. 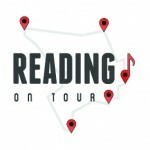 For its Silver Anniversary, The Hexagon departed from the professional musicians and instead opted to showcase the diverse talent of Reading’s amateur musicians. Over 400 artistes took to the Hexagon’s stage in a breathtaking evening, concluding with a mass rendition of “There’s No Business Like Show Business”. It was a great event helping to highlight the range of cultural influences that make up the town. For its latest anniversary a sell-out gala concert was organised which featured performances by Julian Lloyd Webber, Dame Lesley Garrett and Tasmin Little. The Hexagon has hosted a range of sporting events, most notably having a long-standing connection with Snooker. In 1981 it was host for the State Express World Team Classic. Then, in 1984, Rothmans sponsored the Snooker World Open, moving it to the Hexagon and renaming the competition as the Grand Prix. It was then held at the Hexagon every October until 1993. The 1985 final between Steve Davis and Dennis Taylor lasted 10 hours and 21 minutes making it the longest one-day final in snooker, thus adding this record to the Hexagon’s history. The Grand Prix is still the premier competition in Snooker, currently under the name of the World Open. Much information supplied by staff of the Hexagon. Tom Jones, Van Morrison, Chuck Berry, Cliff Richard, The Smiths, Genesis, Tammy Wynette, The Levellers, George Melly, Julian Cope, The Waterboys, Lulu, Jools Holland, The Human League, Supergrass, Gorky’s Zygotic Mynki, Kiri Te Kanawa, Manic Street Preachers, The Pogues, The Mission, Ben.E.King, Motorhead, The Alarm, The Stranglers, Neds Atomic Dustbin, Elvis Costello, Squeeze, James Brown, Ray Davies, Midge Ure, Petula Clark, Mis-Teeq, The Waterboys, Level 42, Lemar, The Thrills, Zero 7, The Human League, Runrig, Natasha Bedingfield, Rufus Wainwright, Super Furry Animals, James Blunt, Doves, Funeral For A Friend, Goldfrapp, Craig David, , The Zutons, We Are Scientists, David Essex, Bill Wyman & The Rhythm Kings, The Charlatans, Bloc Party, Mcfly, Travis, Manic Street Preachers, The Proclaimers, Ian Brown, Alison Moyet, The Pigeon Detectives, Athlete, Scouting For Girls, Sugababes, Billy Bragg, Boy George, The Stranglers, Sigur Ros, Primal Scream, Doves, The Saturdays, Alesha Dixon, Joan Baez, Ocean Colour Scene, Peter Andre, La Roux, Ellie Goulding, 10cc, Erasure, Imelda May, Joe Mcelderry, Kaiser Chiefs, Big Country, Rebecca Ferguson, The Osmonds, Bellowhead, Frank Turner, Joan Armatrading, Paloma Faith, Skunk Anansie, Simple Minds, Morrissey, Royal Philharmonic Orchestra, Royal Philharmonic Pops Orchestra, Communards, Julian Lloyd Webber, Dame Lesley Garrett, Tasmin Little and the Sainsbury Singers.